The Padres have gone through Everth Cabrera, Miguel Tejada, Jason Bartlett, Alexi Amarista, and most recently, Alexei Ramirez as their opening day shortstops since 2009. The shortstop position has provided absolutely no stability for nearly the past decade in San Diego. Luckily the Padres’ farm system has been loaded up with young talented prospects at the position, and one of them is bound to bring years of stability for the team. The only issue is all these prospects are years away, so the Padres need a stop-gap for the 2017 season, and more than likely, the 2018 season. 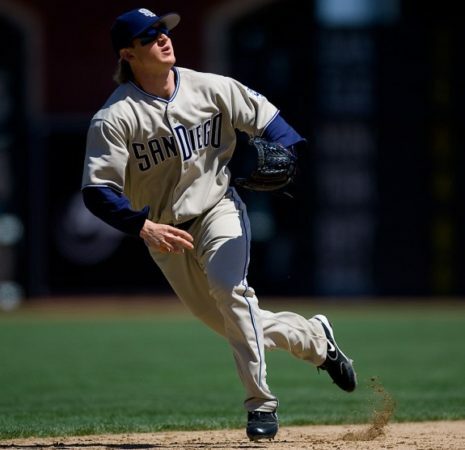 At the opening of training camp, a few players for the Padres were seen as competing for the starting job at shortstop. The first of these is Luis Sardinas, who closed the 2016 season as the Padres everyday shortstop. Sardinas ended up putting up decent numbers the last month of the season, after the Padres acquired him off of waivers from Seattle. Sardinas slashed a .287/.353/.417 line while playing good enough defense to possibly stick at the position. The Padres didn’t want to just hand Sardinas the job for 2017, so late in the off-season the Padres signed veteran Erick Aybar to a minor league contract. The Aybar signing would provide a head-to-head competition for one of the two to earn the starting job. Sardinas seemed like the favorite heading into camp, although Aybar may have the upper hand presently. Andy Green hinted that Aybar had the edge in the last week, as he mentioned seeing Sardinas more in a utility role. Friday morning, manager Andy Green told Sardinas that he no longer was competing with Aybar, and would be receiving looks at other positions. It is safe to assume that this means Aybar will more than likely be the 2017 Padres starting shortstop. He spent his first 10 seasons in MLB with the Angels. He was a solid middle infielder for the team and has seen a lot of success through his career. In 2016, Aybar played for the Detroit Tigers and the Atlanta Braves, struggling at the plate, and defensively. He hit just .243 last season and only reached base at a .303 clip. Aybar doesn’t steal bases the way he did in his days with Angels. Aybar swiped 22 bags in 2010, 30 in ’11, and 20 in ’12. Aybar also has little to no power in his game. That being said, Aybar is still a veteran that can provide mentorship and be a solid stop-gap at the position. He has had an impressive spring training so far, slashing .280/.321/.580. Sardinas has looked much better defensively, but Aybar still has been average. Aybar has looked much more comfortable at the plate and seems to be more reliable. The 33-year-old infielder has spent 11 years in the major leagues. 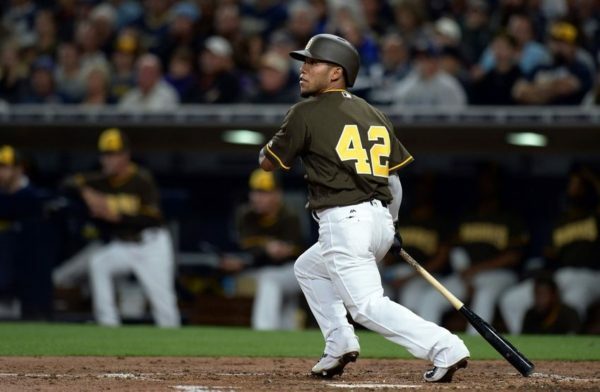 His veteran presence is crucial with such a young and developing Padres team. Allen Cordoba, whom the Padres took with the third overall selection in this year’s Rule-5 draft, seems pretty likely to crack the opening day roster. Cordoba has never played a full season of professional baseball, and has never played above Single-A. Cordoba was a middle infield prospect in the Cardinals’ system, and was left unprotected because of his vast inexperience at the higher minor league level. For Cordoba to stay with the Padres, he must stay with the big league club for the entirety of the 2017 season. If not, he will be returned to the Cardinals for a small fee. I believe the Padres will gamble on Cordoba to keep him with the organization, much like they did with Luis Perdomo last season. Cordoba has struggled in the spring, but the reward may be worth the risk for a Padres team expected to be at the bottom of the league. The Padres don’t have any expectations to be a competing ball club for the postseason, so it does make sense. 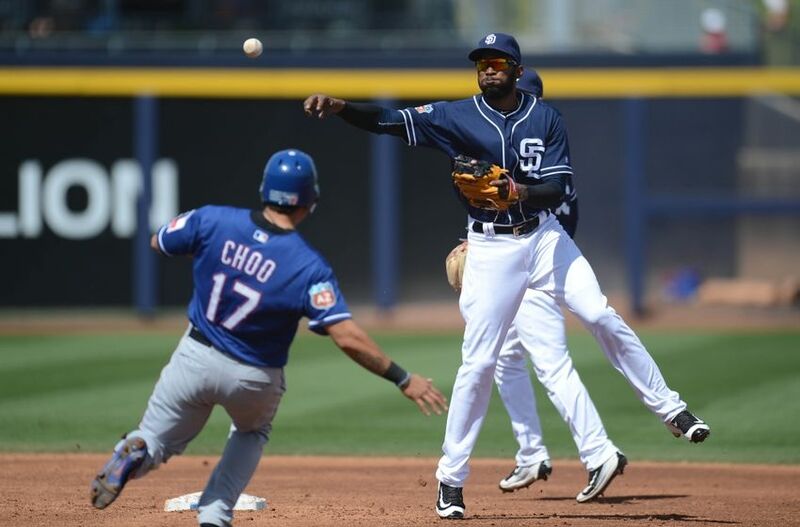 This is where Erick Aybar comes in to play as a crucial factor to the Padres. Sardinas is very young, and wouldn’t be much of a mentor, unlike Aybar, who is an established veteran in the league that could help develop Cordoba into an everyday ball player for years to come. Aybar isn’t the flashiest of players, nor is he anyone to be excited about, but he does make sense and will almost surely be a massive upgrade from Alexei Ramirez last season. A realistic expectation for Aybar this year would be hitting near the end of the lineup, hitting around.260 with a few home runs and stolen bases. Coming into camp, I was thinking Sardinas would be the man there, but I’m looking forward to see if Aybar can bounce back and be a veteran leader in the clubhouse. 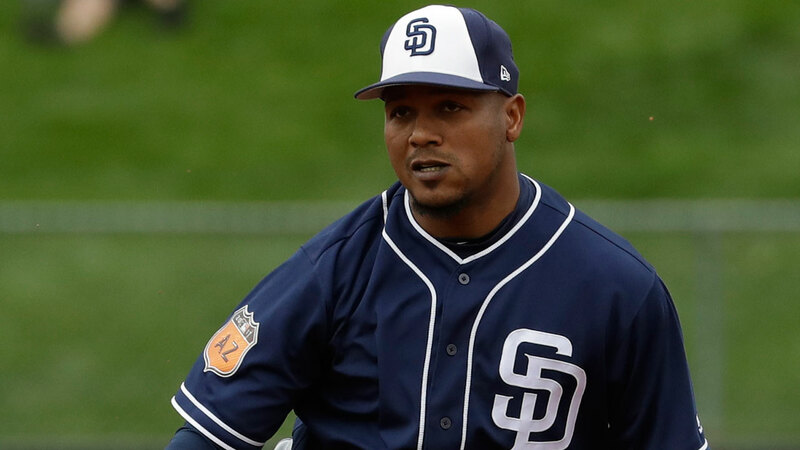 A lot can change from now until the 25-man roster is announced, but expect to see Erick Aybar’s name at #1 on the Padres shortstop depth chart.